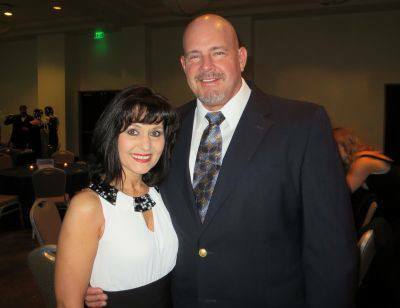 Tom & Cheryl Williams are a married couple whom are both graduates of Birmingham School of Massage and Licensed Massage Therapist. Tom is a retired Deputy Sheriff and Cheryl spent around 20 years working with the elderly in different roles such as a CNA, Activities Director and Licensed Administrator. Tom & Cheryl’s Mission is to provide a therapeutic massage tailored to meet the needs & expectations of their clients in a relaxing, safe environment. He is also nationally certified in Syngergetic Myofascial Therapy where he is a level 5 practioner Synergetic Myofascial Therapy under Magnus Ecklund. This is a deep tissue form of myofascial work which is very effective in loosening fascial restrictions. It is performed with little or no lotion and on top of the sheets. It is based on the work of Ida Rolf and is deep structural postural work. The client wears shorts, sports bra, tube top, etc. It is not a relaxation massage but is very effective as it involves different positions (sidelying), active involvement by the client, and stretching. It is similar to structural integration and is more effective in returning thebody to its natural balanced state than regular massage. Tom also is proficient in sports massage, stretching. The particular type of stretching he does is called Active Isolated Stretching. It was developed by Aaron Mattes who is known as the guru of stretching andis the most effective type of stretching program. Clients wear gym clothing to receive this. Athletes and people who love to work out benefit greatly from both Synergetic Myofascial Therapy and Active Isolated Stretching. Cheryl is certified in Therapeutic Massage and in Neuromuscular Therapy. She is also proficient in using the FasciaBlaster. The FasciaBlaster is a tool which was developed by Ashley Black. It is great for breaking up fascia in the body and helps get rid of tight spots in the muscles and fascia along with cellulite. This tool is one of the hottest trends in massage right now and it works!